I give it four stars mostly because I found it somewhat curious to read a description of how silicon chips are manufactured in such detail, though it doesn't seem to be a 100% accurate. While certainly I was very intrigued at the end of it, and considered getting the "Sands of Karathi" which has the described Robot in it. It seems that the main focus of the Lacuna series is the humans, which seems rather dull to me. Perhaps David Adams will write a book about the journey of this Robot in particular and how they took over their planet or whatever it is that they did. Though one of the issues I had is it mentioned "Unlike a biological creature, he would not age, not wither, not forget." this is patently false, since silicon chips degrade with age, and memories are corrupted. Robots and computers need to be continuously backed-up, upgrades, repaired, and restored. Had he done a little more research and looked into the half-life (life-expectancy) of most hardware components, he'd find that it was 4-7 years. So if that robot is going to be around for more than a decade, it better have a functional mining and manufacturing base, so that it can have a constant supply of fresh parts. Because of the nature of how small these parts are, even simply laying on a shelf means that the heat of room temperature can be degrading them -- so simply having a stash of old parts wouldn't be enough, unless they were carefully cryogenicly frozen and carefully thawed. 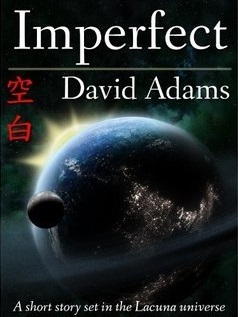 Sign into Goodreads to see if any of your friends have read Imperfect.